Want to see for yourself what we can offer you? Then take a 3D tour/walk round the house and courtyard. There are 360 photos of part of our garden and the village Church as well as a tiny part of our local beach and nature reserve Slapton Ley. Enter the house from your private South facing courtyard into the well equipped farmhouse style kitchen-breakfast room with built in electric ‘range’ double oven, large American style fridge freezer, double Belfast sink, dishwasher, microwave, Tassimmo coffee machine (bring your own capsules), digital radio with ipod dock, dining table to seat 8 and 3 seater sofa. 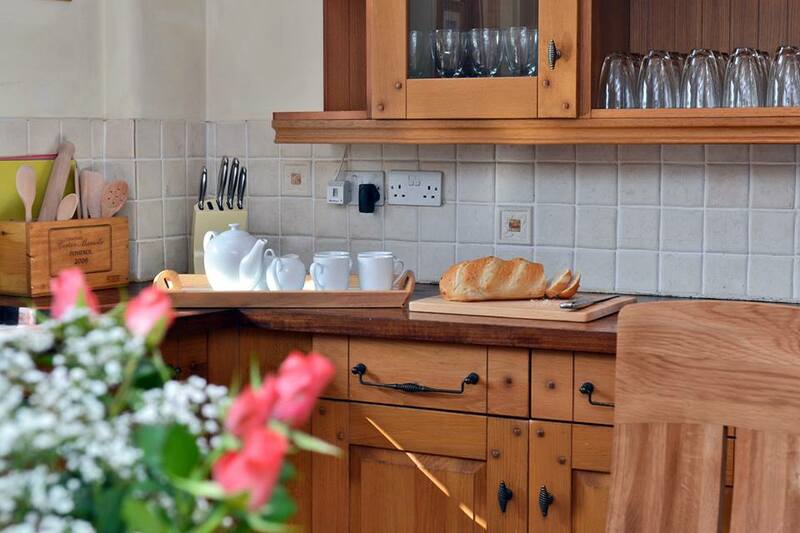 Leading off from the kitchen is a utility room with Belfast sink, washing machine and tumble dryer. The dual aspect living room is designed for relaxing and socialising with comfy sofas, TV/DVD and fireplace with wood burner stove. The dining room has a feature fireplace and the dining room table can extend to seat 12 if needed. The snug has games and books for all ages, including 2 exclusively designed play boards for younger guests, X-box and games and a selection of outdoor games is kept in the under stairs storage. Cloakroom with WC and hanging space for coats. On the first floor Master bedroom has a king bed, built in wardrobe and chest of drawers. Bedroom 2 with king bed, wardrobe and chest of drawers. Bathroom with bath with shower over (and a hand held shower), basin and WC. On the second floor bedroom 3 with king bed, built in wardrobe and chest of drawers, vaulted ceiling with exposed timbers. Bedroom 4 with twin beds, wardrobe and chest of drawers, vaulted ceiling with exposed timbers. Shower room with walk in shower cubicle, basin and WC. All four bedrooms have window seats and views across the village to the church, TVs and hairdryers.